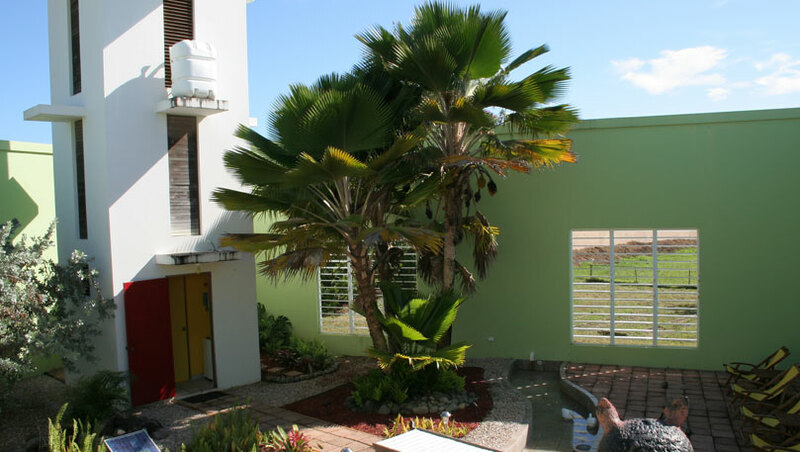 A designer from Puerto Rico pioneered green architecture thirty years ago, and today he confronts climate change with sustainable constructions including a house without a roof that is completely independent of the power and water utilities, a micro-eco-house on wheels, a pre-designed sustainable house, a parachute-house and a solar-electric car. 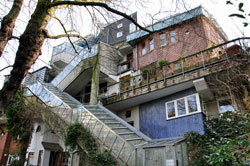 When architect Fernando Abruna Charneco began designing buildings in the 1970s, many called him as crazy for putting nature first... a practice which later would be labeled as sustainable green architecture. He inherited the design mantra of 'doing more with less' from R. Buckminster Fuller, inventor of the Geodesic Dome and the Dymaxion car, for whom he worked as an apprentice. In times of climate change and the doomsday consequences it entails, THE ABSENT HOUSE delivers a much-needed, hopeful and proactive message that we can live sustainably while preserving the planet for future generations. Camera, Joseph Villalobos Cruz; music by Steve Roitstein.